Herb Montgomery, founder of Renewed Heart Ministries, recognizes that the distorted image of God reflected in much mainstream Christian theology can create doubt and harden unbelief. He’s a man much after George MacDonald’s heart (though he informed me that he had not previously read the Scotsman’s works) and offers a Biblical presentation of the Triune God of Love whose nature is fully revealed in Jesus. 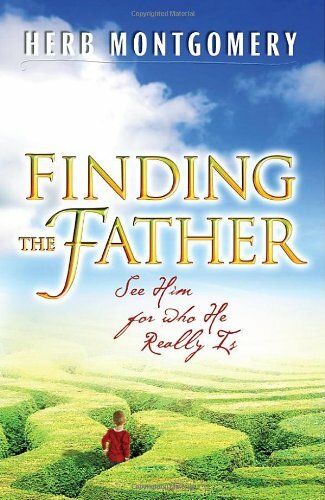 Montgomery is the author of Finding the Father, which was published in 2009 and deserves to be far better known. You may not agree with all of his ideas, but they are well thought out, backed up with both logic and robust Scriptural references, and deeply thought-provoking. Some quotes from that book follow below. “Way back in the beginning of this race’s history God lovingly warned Adam and Eve of the danger of sin…note that God did not threaten them, ‘If you eat the fruit, I’ll kill you.’ He wanted them to understand that by eating the fruit, they would be setting in motion a chain of events that would ultimately end in death…God is not the one from whom we need to be saved—we need to be saved from sin! Over and over Scripture makes this point. “'For the wage paid by sin is death; the gift freely given by God is eternal life in Christ Jesus our Lord’ (Rom 6:23, New Jerusalem). It is God’s forgiveness that can save us from the effect of sin, and that brings us to the atonement. I found Montgomery well worth reading, and highly recommend Finding the Father.